We’ve had our share of bug issues in the home recently. Most notable we’ve had a constant stream of ants in the kitchen all summer long. It seems every morning – no matter what we do to clean – we find a few scurrying through our kitchen. I know that most bugs have been identified as being either harmless or beneficial to our world. We need them to maintain environmental balance. However, that doesn’t mean I want critters that buzz, fly or have more legs than I do creeping through my home all the time. Our first inclination when that long line of ants goes streaming through the kitchen is to follow the traditional method for eradicating pests – reach for the spray can (or call in a professional if it’s severe enough, which of course can cost a lot of money). 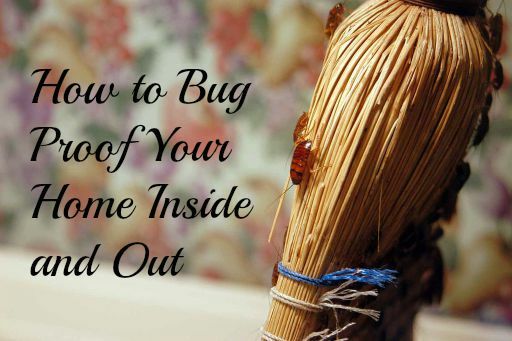 However, these methods only treat the symptom not the fundamental cause as to how bugs enter the home. Additionally, pesticides can contain chemicals that could have lasting effects on children or pets that live inside the home. The Environmental Protection Agency (EPA) suggests an environmentally friendly, common sense approach to controlling pests. The goal is to eliminate the use of pesticides by focusing on prevention. In essence, you will want to stop all the conditions that entice and allow pests to enter the home. What do humans need to survive? If you answered food, water and shelter you would be correct. It’s interesting that bugs need all three of these as well. No wonder they like your home so much.